Take a stroll through Brixton and you’ll notice boarded-up shops and evidence of protest in this culturally diverse corner of south London. In early 2016, many social housing estates in the area began to undergo a remodelling and rebuilding process, paid for in part by property developers keen on reaping the dividends of Brixton’s proximity to the city centre. 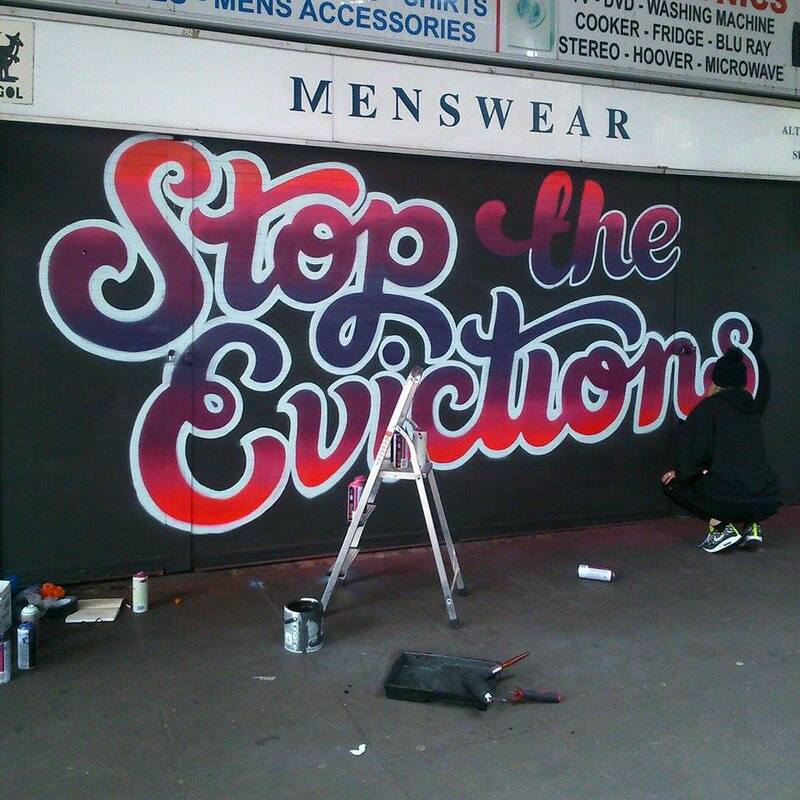 While residents were forced to relocate and scatter around London, local businesses were also in a state of upheaval. In February, the council alerted a host of small shops and companies near the railway station – primarily in Atlantic Road – that the area was also to undergo a transformation under the auspices of Network Rail. Independent business owners were told that they had four months to close down and move away. Some have said they won’t be able to afford the rents set to charged for the railway arches once they have been refurbished. 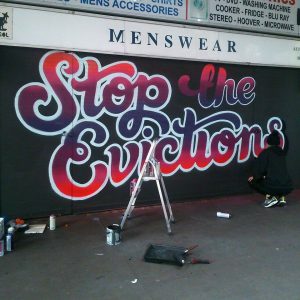 Many local people believe the reason for this shake-up is to improve the look of Brixton, essentially making it more marketable to those far wealthier than its current inhabitants. In other words, the area is being gentrified, creating a sense of alienation and resentment among many long-time residents. How is local sport affected? Behind the boards, the remnants of businesses past: a Portuguese butchers that offered imported delicacies, an independent Jamaican music store run by a father and his teenage daughter, and a small taxi company that transported people from Brixton to Heathrow and Gatwick. But, perhaps the most important of all, was a modest space for children to congregate after school. One 4 All, the name of this independently-run company, would organise trips to the local leisure centre, just on the opposite side of the railway. 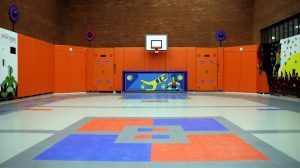 It was at this leisure centre that I spent most of my days as a kid – and it is at this leisure centre that many children of today can no longer take part in sports. Due to the closure of One 4 All, there is no longer a middle-man between the visiting children and the centre. This means no supervisors or carers which, in turn, means a decrease in attendance after school. Parents would often entrust the workers here to look after their children while they work – mine most certainly did. It was almost free childcare. For kids, it was the chance to visit the coveted leisure centre. At Brixton Recreational Centre, you can try your hand at basketball, futsal, badminton, table tennis… the list goes on. Speaking to basketball coach Robbie Sugg – affectionately dubbed ‘Uncle Robbie’ by many kids – I realised that the atmosphere at the Recreational Centre is somewhat gloomy in the wake of gentrification. The 57-year-old, who has spent around 17 years working as a coach at the centre, said: “I used to have 20 to 30 kids come in here every single afternoon once school finished. They’d all walk in, pick up the basketball and shoot some hoops. What does Sugg think of Brixton’s transformation? “Listen, I can understand how the government will defend this as well as the local council,” he said. ‘Brikki’ is an affectionate moniker used by those who have some sort of connection to the district. Sugg has been a resident of Brixton his entire life, living just a few minutes from the recreational centre, just west off Electric Avenue. His concerns are genuine. The more children he can work with and introduce to sport, the fewer there are on the streets potentially getting into trouble. Especially with the angst-riddled atmosphere currently circling around Brixton. “The only people I see here nowadays are adults. That’s fine, but I don’t see kids no more. Those kids that called my Uncle Robbie. The only kids I see are unfamiliar faces that come and go. The sense of community is disappearing, man” said Sugg. After my chat with Sugg, I proceeded to a local coffee shop to get the other side of the story from a council spokesperson. Susan McRae arrived, sat down and quickly began to talk about the benefits of gentrification. It symbolised the divide between council and community – neither side is completely right, but neither wrong either. “Obviously it is sad for the people who feel like their community is being broken apart, but people have to realise that this is for their benefit,” she said. While there are no concrete plans yet for any official sporting playgrounds, McRae confirmed that it is possible. I relayed my interview with Sugg to McRae who had some sympathy for his frustrations. McRae admitted, however: “It’s true: kids don’t really have an outlet in Brixton once they finish school. The Recreational Centre is somewhat off bounds now unless the parents can afford the membership, and the skate park is dominated by adults which can be intimidating. As a resident of Brixton, and someone who grew up there, it’s possible to understand both arguments. I grew up during the riots that saw Brixton literally on fire. One can side with the idea of gentrification when casting an eye back at those times. But I have also grown up in a community that unequivocally offered me this: sport at no cost. The skate park was always my stomping ground, the Rec Centre a chance to flex my skills across heaps of sports. It’s undoubtedly a concern that the lack of sporting outlets could see children turn to mischief and become disenfranchised from sport – seeing it only as something they only do at school. But if the council decide on building free sporting complexes, then it may be a win-win situation for the community. Better housing and sporting facilities? A lot of people would jump with joy at that. 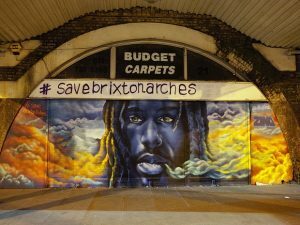 It’s a fragile time to be from Brixton – a district that once lavishly celebrated its mix of communities, now reduced to graffiti and protests which speak of distrust and disenchantment.